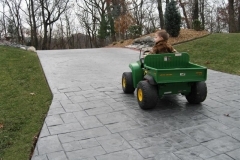 The battle between asphalt and concrete for driveways has been going on for too long. 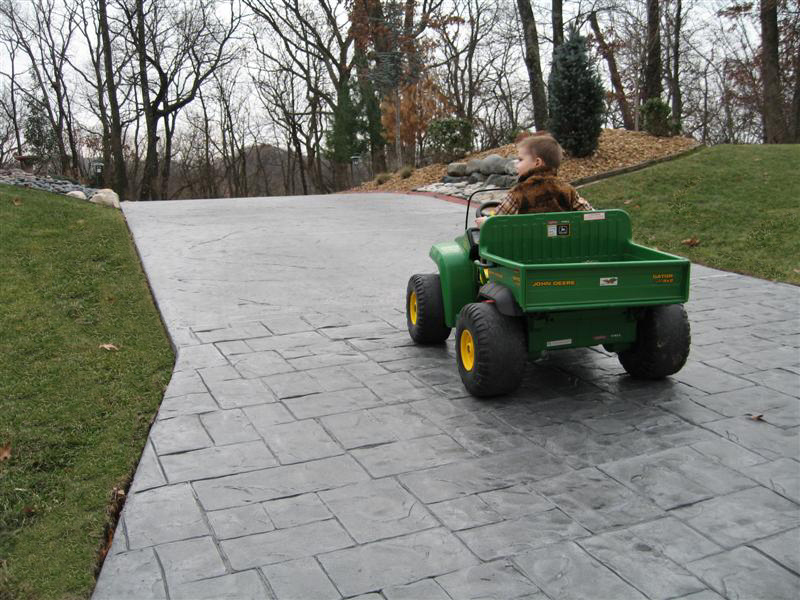 There are so many ways that concrete is an ideal material than asphalt. 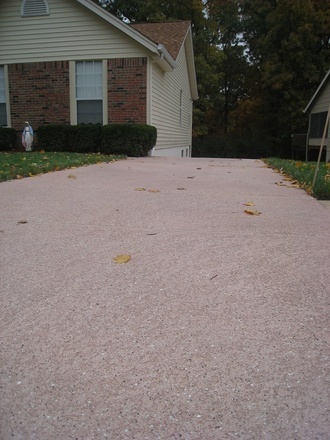 It is as durable as time itself and an affordable option for home and commercial space owners. 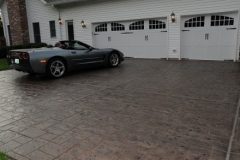 It is concrete’s versatility that makes it a winner. It can be made to look like anything. It can be colored to the desired color. The possibilities are endless. 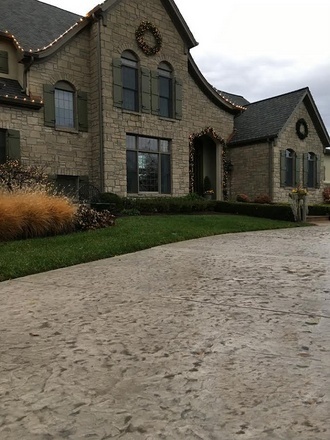 Thanks to decorative concrete driveway coatings and overlays, there are various design options for property owners to choose from. 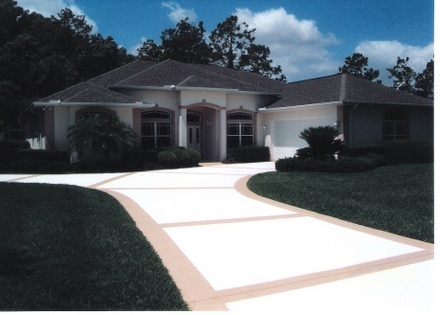 Aside from aesthetics, these solutions also provide utmost durability and longevity beyond your imagination. 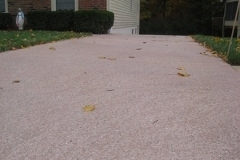 So between asphalt and concrete? The choice is clear. Resurfacing – If the damage is just on or a little bit past the surface, resurfacing concrete driveways is a sound solution. 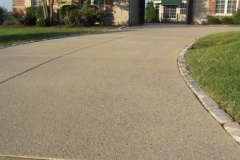 This involves cleaning or grinding the damaged top layer and then installing an overlay or coating on it. 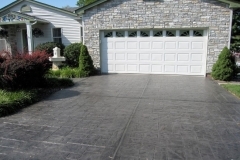 Refinishing – If the damage is just something cosmetic, like ugly stains or discoloration, concrete staining driveways can renew its look and enhance its appeal. 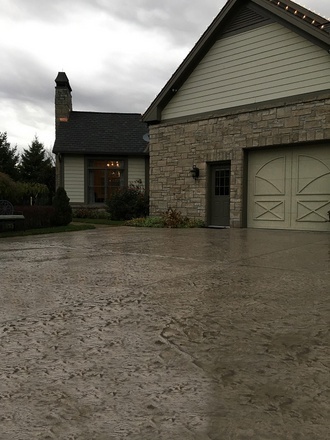 If it needs an extra layer of protection and shine, sealing or resealing concrete driveway surfaces is all that’s needed. 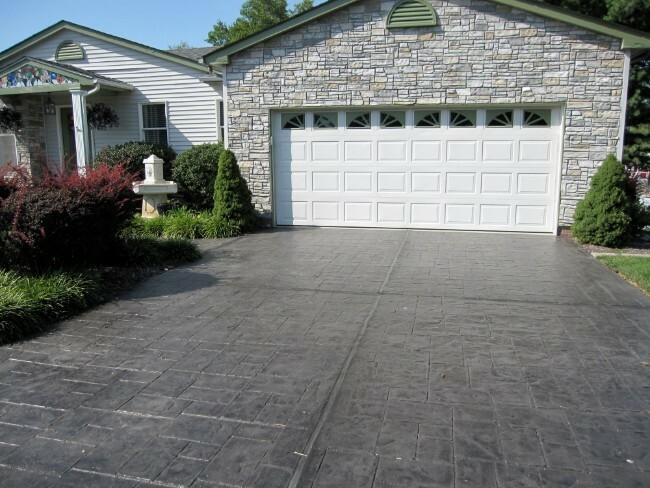 Concrete Stamped Driveways – A thin layer of this overlay is enough to give the driveway a new look with the help of pattern stamp mats. 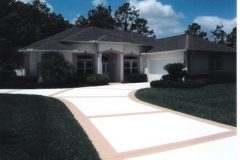 There is a broad range of patterns and designs to choose from, giving you an opportunity to make the driveway match or complement the entire home or establishment. 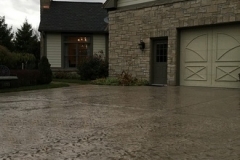 Stained Concrete – Staining is a highly popular method of coloring driveway slabs. 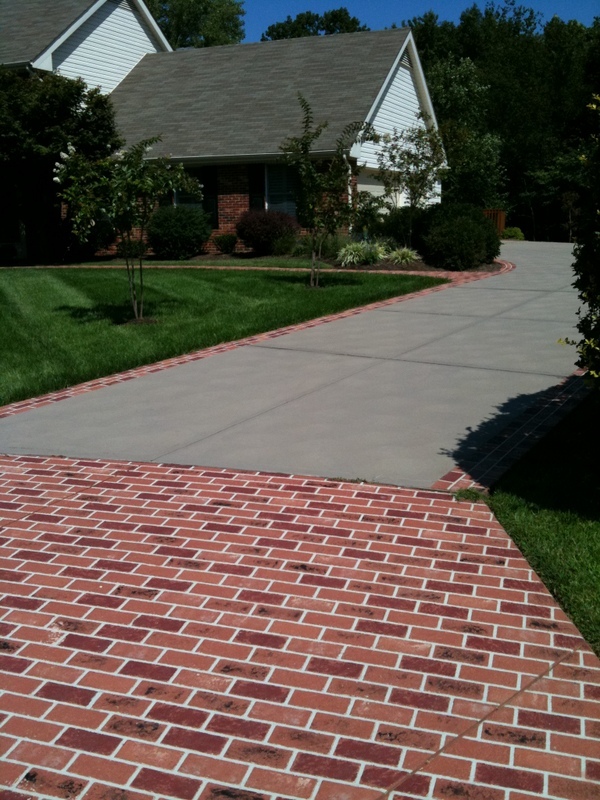 This can be applied directly on structurally sound driveways or on newly resurfaced ones. 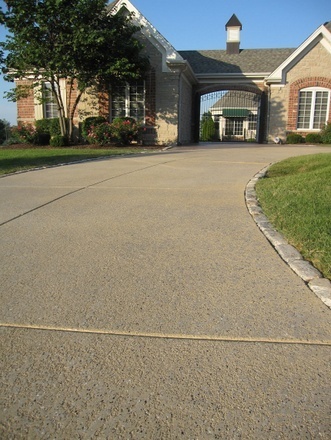 Troweled Concrete Finish – This spray knockdown finish is ideal because of its textured surface, improving grip and traction. 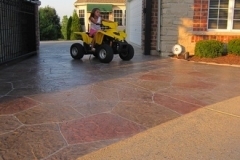 Another cool feature of spray texture is that it stays 30% cooler than other paving materials, keeping rubber tires from melting on hot slabs. Add value to your driveway today. 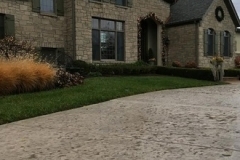 Call (972)808-5281 for decorative concrete options. 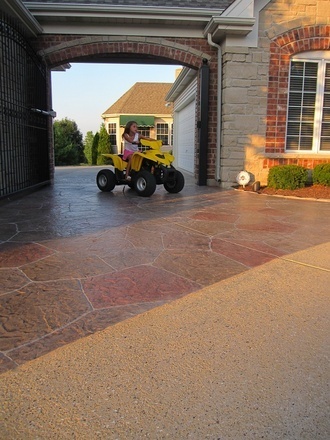 Dallas Decorative Concrete offers custom design solutions that optimize the look and function of concrete driveways. 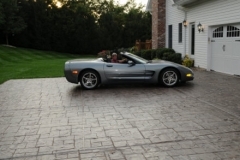 From choosing a design, color, and budget range, our staff will be there with you every step of the way. Let’s schedule an appointment for us to find out more about your ideas, our recommended options, and to help you determine if we are the right people for the job. 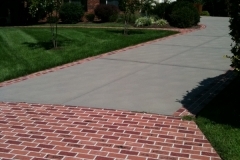 Call or email today for a free consultation and quote.